A series of three distinctive bowls that vary in size, form and function, the Bowls are inspired by Japanese origami and, fitting together as a trio, they appear as a delicate paper sculpture. 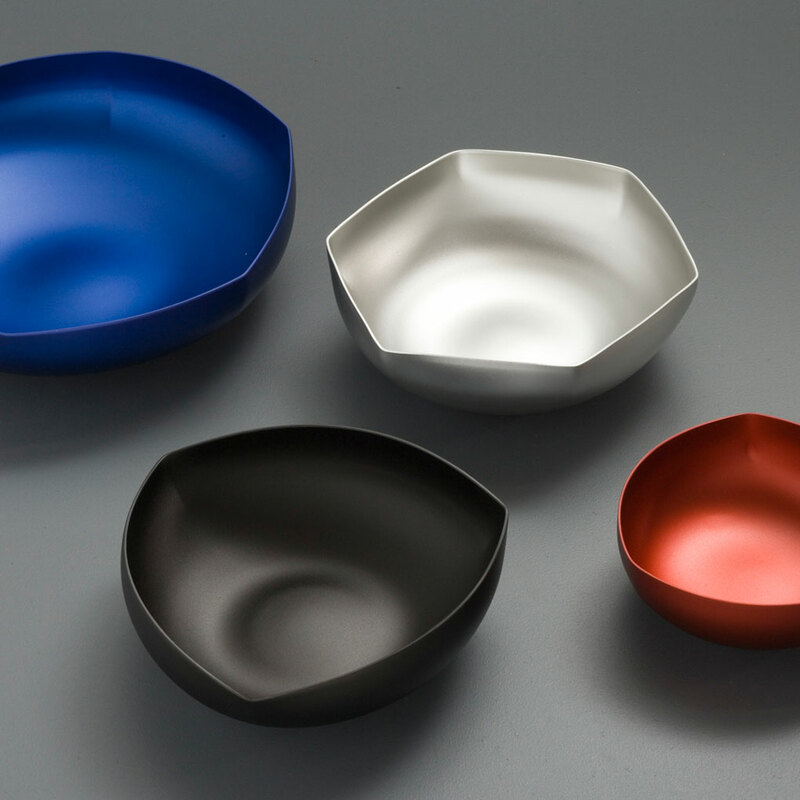 The Bowls transform a symmetrical shape into hexagonal and triangular forms. A hydraulic device reminiscent of an octopus was invented to stretch the material into the desired shape, and each bowl is a different approach to form within the capacity of the device. This trio is the perfect entertaining companion, with the small size suited to serving dips and nuts, the medium size designed to serve bread rolls, crisps and biscuits and the large size is ideal for salads or as a fruit bowl. The Bowls are sold as a set of three different sizes, or as individual objects. The largest is available in blue and matt silver finish, the medium is available in red and black, and the smallest in black or matt silver.